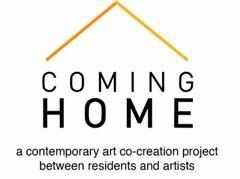 In the fifth edition of Coming Home, a contemporary co-creation project between residents and artists, the Aljunied community will come together once again to explore and co-create artworks with different perspectives of home. Do you remember the crocodile farm that was located along Upper Serangoon Road from the early 1970s till the 2000s? Although not many locals are aware of its existence, it is a place that residents living within the vicinity remember and miss fondly. Through the theme of "Play", the festival village will be turned into a giant crocodile farm playground for the young and young at heart. Come and see home in a new light! This programme is a part of Aljunied GRC and Hougang SMC, PassionArts Aljunied Festival 2018: Super. Visit the link supplied to download an e-copy of our Festival Guide or visit our Facebook page for more information on the exciting programmes lined up for you!